With over 5 years experience and real focus on customer satisfaction, you can rely on us for your next renovation or idea. 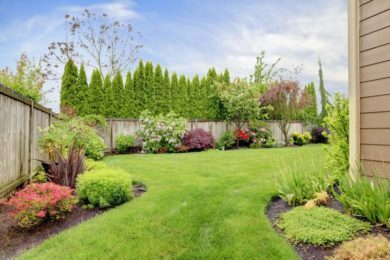 With over 5 years experience and real focus on customer satisfaction, you can rely on us for professional yard services, quality projects and expert work at a fair price. We know decks and fences inside out and can help you with installations, repairs, makeovers and more. Give us a call today to better understand your options and get a competitive quote on quality work without compromise! 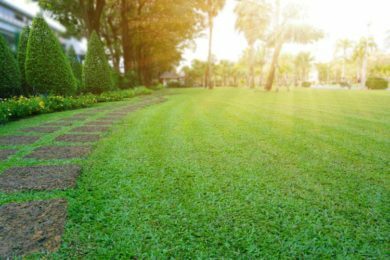 Looking to change the feel and appearance of your yard? We can deal with all of your landscaping needs or help create a beautiful new concept. Additions, removals and makeovers that will make you want to sit outside a whole lot more! Total Yard Works loves creating beautiful yards for our customers. We have all your yard maintenance needs covered and know that the absolute best advertising we have is when we create a yard that makes people ask who? "Total Yard Works has done multiple landscaping and renovation projects for me and my mum over the last few years and I wouldn't look anywhere else now. They are courteous, professional, timely and all around a joy to work with... which is much more than I can say about some of the other landscaping contractors I've had experience with in Manitoba and when I lived in Edmonton." "Very friendly young man that I have do my driveway and walk in the winter and keep my lawn and trees in the summer the last few years. More than happy to leave a nice testimonial for these stand up young men"
"I'm a single mother and as such have a very strict budget I need to follow - I desperately needed a few ugly stumps removed from my yard that were becoming a hazard for my little ones as well and calling around I got the best price by far offered by this company - and the work wasnt half assed like I was worried it might be considering the very appealing estimate I received after comparing many options"
Founded by Richard Kaiser in 2012, Total Yard Works has established itself as a trustworthy, professional, and customer satisfaction orientated Manitoba business. Contact us today to get started building your vision and receive a fair competitive quote on your project or service needs. With 5+ years of being in business and many more being mentored beforehand, Total Yard Works has the know how, connections and integrity required to ensure a quality job and level of service on every project we undertake. We believe in not cutting corners and that long term using the best materials and tools in our projects; alongside special attention to detail results in long term, loyal and happy customers. Our work speaks for itself and will have the neighbors asking our name because of the finished product provided. Our estimates are cheap but our work certainly isn’t. We hold ourselves to a certain personal standard to ensure that our business continues to grow and thrive naturally. We take pride in creating satisfied customers and beautiful yards that promote themselves in your neighborhood! 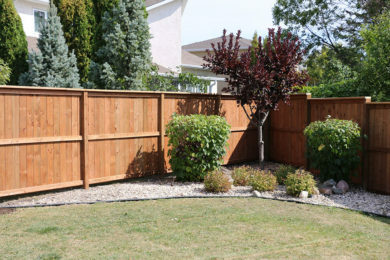 Providing quality, affordable and professional landscaping yard, deck and fence services within Winnipeg and surround regions.